Headlined by 6-foot-3 forward A’ja Wilson (South Carolina/Hopkins, S.C.), one of the youngest members of the 2013 USA U19 World Championship Team and MVP of the 2014 FIBA Americas U18 Championship, eight gold medalists were named to the 2015 USA Basketball Women’s U19 World Championship Team. The USA squad is on a quest to capture a sixth-consecutive gold medal at the U19 Worlds, will compete in the 2015 FIBA U19 World Championship, hosted from July 18-26 in Chekhov, Russia. The team was selected by the USA Basketball Women’s Junior National Team Committee following three days of trials that featured 34 athletes age 19-and-under (born on or after Jan. 1, 1996), May 14-16, at the United States Olympic Training Center in Colorado Springs, Colorado. The USA team will regroup for training June 30-July 7 at the USOTC prior to traveling to Alicante, Spain, to compete in a round-robin tournament July 11-13 against U19 national teams from Australia, Canada and Spain prior to arriving in Russia for the 2015 FIBA U19 World Championship. In addition to Wilson, aiding the USA to the U18 gold medal, which earned USA Basketball a berth in the 2015 FIBA U19 World Championship, were Napheesa Collier (Incarnate Word Academy/O’Fallon, Mo.) and Mariya Moore (Louisville/Richmond, Calif.). Also named to the squad were 2014 USA U17 World Championship Team gold medalists Kristine Anigwe (Desert Vista H.S./Phoenix, Ariz.); Lauren Cox (Flower Mound H.S./Flower Mound, Texas); Crystal Dangerfield (Blackman H.S./Murfreesboro, Tenn.); Asia Durr (St. Pius X Catholic H.S./Douglasville, Ga.) and Katie Lou Samuelson (Mater Dei H.S./Huntington Beach, Calif.). 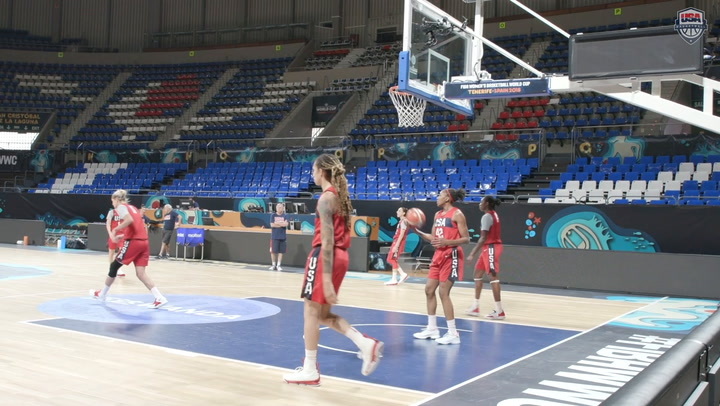 Named to their first USA Basketball team were Gabbi Ortiz (Oklahoma/Racine, Wis.); Azurá Stevens (Duke/Raleigh, N.C.); Shakayla Thomas (Florida State/Sylacauga, Ala.) and Chatrice White (Illinois/Shelby, Neb.). Additionally, Ali Patberg (Columbus North H.S./Columbus, Ind.) was selected as an alternate. Cox, Dangerfield, Durr, and Samuelson competed on the 2013 USA U16 National Team that won gold at the FIBA Americas U16 Championship and qualified the U.S. to compete in the 2014 U17 Worlds. 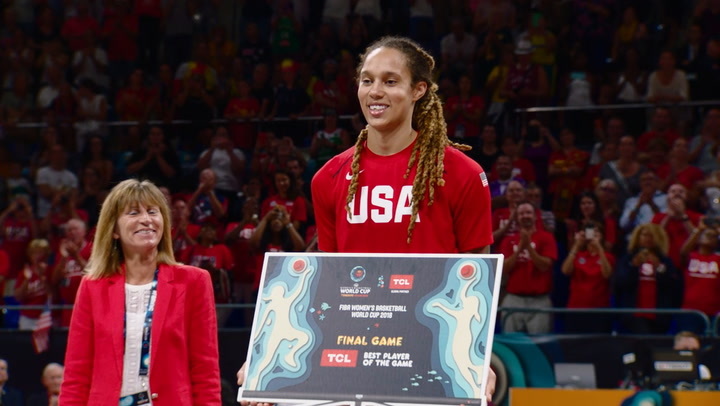 Collier and Samuelson teamed up for the USA and claimed gold at the 2014 Youth Olympic Games, a 3x3 basketball event, and Samuelson earned her first 3x3 gold medal as a member of the 2013 USA 3x3 U18 World Championship Team. In addition to the athletes who won gold medals playing for USA Basketball, Patberg (2014 U18) and Stevens (2014 U18) previously participated in a USA Basketball trials.